Just how Irish is Boston? 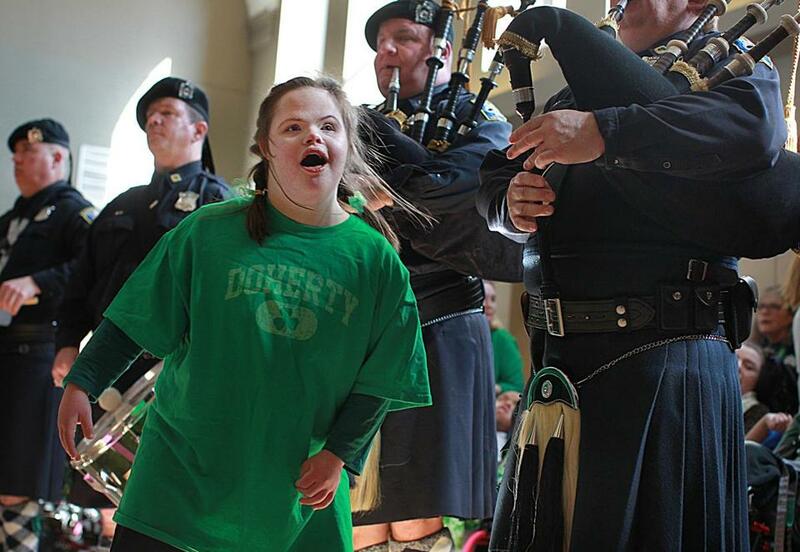 Jessica Doherty, 21, danced amid the bagpipers and drummers at Franciscan Children&apos;s on Thursday. The Boston area has long been known as an enclave for the Irish. But just how Irish is it? According to the US Census Bureau, pretty darn Irish. In the Boston metropolitan area, 22.8 percent of the population said they were of Irish descent — the highest percentage of the top 50 most populous US cities, beating out other notable areas of Irish heritage like Chicago, New York, and Philadelphia, according to a 2014 survey. In Massachusetts, 21.5 percent of the population — or just under 1.5 million people — claimed Irish ancestry, according to the survey. And in Braintree, a whopping 42.3 percent of residents said they were Irish. “Braintree is just one example of the many communities near Boston that are close to having a majority Irish population,” agency officials wrote in a statement, listing Scituate, Hanover, Marshfield, and Norwell as others. 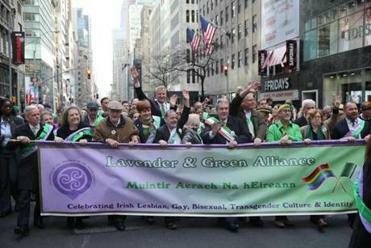 The path to peace seems to have worked its way to Fifth Avenue, where a gay Irish delegation, accompanied by Mayor Bill de Blasio, marched proudly under its own banner for the first time. At 20.9 percent, New Hampshire is the only other state in the US with more than one-fifth of the population claiming Irish heritage, according to the Census Bureau. Another interesting Census tidbit about Irish-Americans: the median income for Irish-led households clocked in at $62,141, which is nearly $10,000 higher than the national median. And, Irish-Americans tend to hold a higher rate of high school diplomas and college degrees than the national average. In the United States, 33.1 million people claimed Irish heritage in 2014 — more than seven times the actual population of Ireland at 4.6 million, according to the agency. Nicole Hernandez contributed to this report.